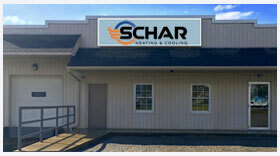 Schar Heating & Cooling, Inc. is proud to serve the Clinton/New Franklin community! About Clinton/New Franklin, OH - Happy to be your hometown Heating & Air Conditioning Contractor! Clinton and New Franklin are two Ohio communities found in Summit County. Part of the Akron Metro Statistical Area, Clinton is home to about 1,200 residents, while nearby New Franklin has about 14,300 total residents. The larger New Franklin is served by four public school districts, many of which use the Northwest Local School District. Students from Clinton also attend those schools, which can be found in Canal Fulton. Clinton and New Franklin are primarily residential communities, with many residents commuting into nearby Akron for work. While there aren’t any major tourist destinations or attractions here, there are some noteworthy businesses that serve the locals. The New Franklin area is home to several shopping destinations, including Cindy Bags and Gameday Sportswear, and local restaurants range from fast food like McDonald’s to sit down establishments like Cashton & Main Brew Yard. Residents to the Clinton/New Franklin area will need to invest in proper climate controls to keep their indoor space comfortable regardless of the season. During the summer, high temperatures into the 80s and 90s are common, and severe storms often move into the area. The right central air conditioner keeps interior temperatures at a comfortable level, but they also provide other important benefits. Energy efficient systems will lower monthly utility costs, and the right filtration system can improve the quality of air as it circulates throughout the home. Winters are cold and often bring a mix of snow, sleet, and rain. Icing and heavy snowfall are occasional, and an average of 40 days per year see temperatures stay at or below the freezing point. During these months, conditions can become dangerous quickly both indoors and outdoors. A gas or electric furnace will ensure citizens stay safe, as they will protect pipes from freezing while maintaining a comfortable and consistent indoor temperature.